Building YouTube channel is a lot of work if you want to grow fast. The good news is, it has never been a better time to become a YouTuber thanks to some amazing tools and apps that can help you manage your channel. If you do the right things that will help you gain a YouTube following, then you are going to want to take advantage of every opportunity to save some time, and get more views. There can be a lot to think about when it comes to growing your YouTube channel fast. That is a lot to keep track of! This is why we have compiled the Top 10 best apps for YouTubers and vloggers that you should be using in 2018. Many of these apps are totally free to try out, and can make a huge difference if you want to make your YouTube channel grow. If you are serious about building an audience, then you should at least try these tools, and find out if they can help you on your path to internet fame! Tube Buddy is a life saver for any active YouTube users. It has the potential to save you a crazy amount of time on annoying tasks, and gives you insight that can help you be discovered and grow. It is a simple web browser app which you can download for free in 30 seconds. This means that you can actually access the functionality right into YouTube! Below is a screen show direct from their website. Tubebuddy is a has a whopping 64 helpful features that help you with everything from promotion to YouTube SEO. It comes complete with detailed how to videos for almost every feature. Some YouTubers claim that TubeBuddy has not only helped them grow, but has saved them as much as 10 hours per week. Think about everything you can do with that extra time! Promotion – Great content isn’t enough if you aren’t able to promote your videos properly. TubeBuddy makes it easy to engage with your audience through social media and contests. It also helps you promote important videos with features like ‘Vid2Vid Promotion’ which can highlight your chosen video across all other videos on your channel. If you are a content creator, then time is your most valuable asset. TubeBuddy offers a ton of convenient features that will save you time so that you can spend more of it making great content. Your life will be a lot easier with convenient templates for cards and end screens, and options that let you schedule publishing in advance on YouTube or Facebook so that you get maximum impact with every post. One of the best ways to get more views on YouTube is through being discovered through search results. TubeBuddy is a huge weapon when it coems to SEO (Search Engine Optimization) on YouTube. For one, you will be able to track how your videos are ranking for certain keywords related to your channel. It will also make suggestions for how to improve your results with targeted tags you are currently missing out on. You can try out TubeBuddy for free here. Images and artwork is key to growing your YouTube channel fast. Snappa is an easy tool that lets you create those visuals quickly and with premade templates. We have tried others like Canva and PicMonkey but Snappa was our favorite because it is so intuitive to use and create quick images. Using a quality image editing tool for YouTube art will come in handy a few different ways. For one, you are going to need to create some basic images when you start your channel. You will need to create a channel icon, as well as a channel banner. These images represent your brand to new views and get more subscribers. Don’t underestimate how important this is! With Snappa, you can use pre-made templates for both that are formatted in the exact recommended size. Check out this example which shows you exactly where your logo will show up, and what the margins are on different devices. You are also going to find yourself using Snappa frequently to make attractive YouTube video thumbnails. Having a good thumbnail is often the difference between somebody choosing your video over the competition in search results, so make them good! Click here to try Snappa for free. The Creator Studio App makes it super easy to grow all of your YouTube channels quickly wherever you are. It essentially lets you do everything that you would do with your YouTube channel aside from manage the actual videos. This is a great way to stay on top of how your latest video is performing, and assess your channel performance whenever you have a moment. It is also handy to filter and respond to comments as a great way to build a connection with your audience and keep them coming back for more. If you are planning to try to make money with YouTube then it is very important that you also build your own website. This can be the non-video hub for everything to do with your channel and will make it way easier to manage fun initiatives like contests, discussion forums, surveys, or selling your own products. There are a lot of website builders out there, and Wix is the best pick for anyone who wants to set up a beautiful looking website without spending too much time or money on it. Wix is super easy for anyone to use and create a professional looking website. You can design your site using lots of great looking templates, and it is as simple as dragging and dropping different pieces where you want them to go. Take a look at some of the templates that you can choose from – just pick from one of the hundreds of options that suits your YouTube brand, and you are on your way! Potentially the fastest way to grow your YouTube channel is social media sharing. If you are using Social Media to promote your videos (and you should be), then you need to be using Buffer. Buffer is a handy app that helps you to schedule your posts on a variety of social media platforms and save time while maintaining an active social presence. You can queue as many posts as you like to schedule when they will go out into the world and on what platforms. This means you could set up your social accounts to stay active for an entire week or more with just 30 minutes of preparation which can be a HUGE time saver. You can also schedule any future posts with the click of a button if you happen to see interesting content that you want to share. The browser extension lets you share from major platforms like Facebook, Pinterest and Twitter with the click of a button. Evernote is an essential organizational tool for anyone managing a project. 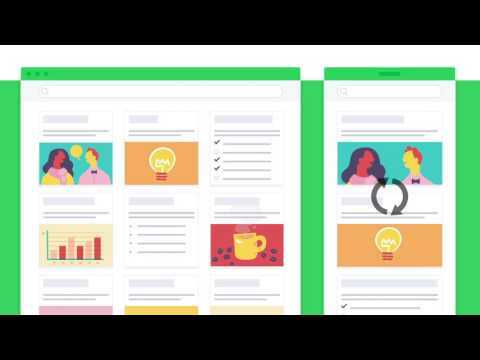 If you are a vlogger with a lot of video ideas, networking opportunities, and fan feedback to keep track of, then Evernote is a great solution. You can keep track of simple text notes that are easily organized into categories that can be navigated laer. You can also go multimedia and record audio notes and reminders. If you find yourself scrambling through note books, or scrolling through endless thoughts written down in your smartphone note app, do yourself a favor and check out Evernote to organize your YouTube life! Finding good music for your YouTube videos can be a big challenge. In most situations you can not use copyrighted music, but music can still be such a huge part of the experience for a viewer. This is why we are fans of AudioHero which has a massive library of music and sound effects for every occasion. The tracks aren’t free, but this is a relatively inexpensive way to find the right sound for your content without running the risk of being demonetized, or having your video removed for copyright infringement. If you are a vlogger, then you may not always have your best vlogging camera handy. You don’t want to miss out on grand inspiration, and special moments, so you may end up using your smartphone. If you are an iPhone user, then you should make sure that you are prepared with Camera Plus Pro. This will give you great control over editing both your photos and videos on the go. You can also create unique videos with filters and time-lapses that can mix up the look of your videos. Awesome screenshot is the quickest and easiest way to capture what is on your screen. This can come in very handy when you need to show off what is on your screen, make a how-to-video, or share an online image. You can make the images your own with simple customization that can either remove information, or call attention to it through arrows and colorful boxes. Every YouTuber should be taking advantage of the massive user base on Instagram. It is a great way to promote your own channel, but the best YouTubers also take advantage of networking and cross-promotion to grow their YouTube channel even faster. Repost makes it very easy to, well, repost Instagram images or videos that people in your network have shared. It gives you the option to include the original poster’s username in the image. It will also automatically tag that person to give credit and make it easy for your followers to check them out. That completes our Top 10 list. Tell us what we missed? Which killer apps should every vlogger be using?